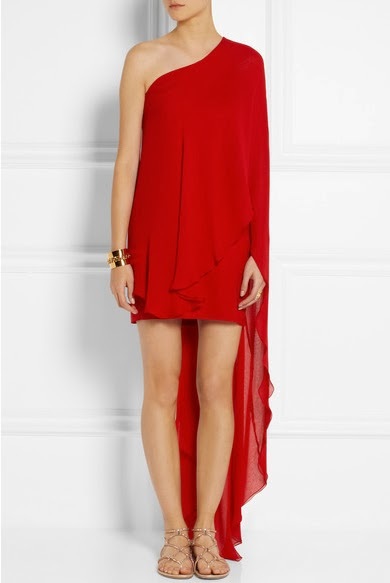 I am so proud of my friend Mary Alice Haney, who launched her debut dress collection on Net-A-Porter today. Starting a business is no small task, especially in the clothing biz, but she is making it happen. The dramatic red dress, above, is my favorite. I envision myself wearing it at one of Mary Alice's signature over-the-top destination parties (she had her last big birthday soiree in Capri!) 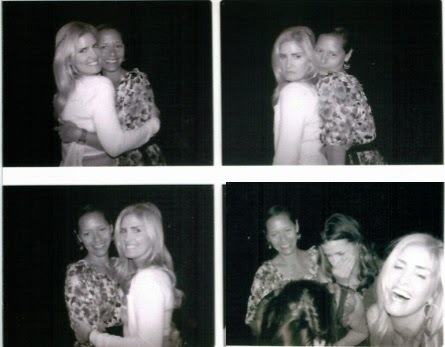 or for fun girls nights out in LA (like below), which are, thankfully, frequent. All of her evening-ready dresses perfectly reflect the out-and-out glam star that she is, along with her exuberance for living large (hence the high-end prices). Check out the collection here. This dress is fantastic and unique, I love the asymmetrical shoulders!